Leading a vegan lifestyle need not be expensive, there are many frugal vegan recipes that are tasty and nutritious with the added benefit of also being economical to cook. A vegan diet is often part of an alternative lifestyle which people turn to for many reasons. People become vegan because of concerns over animal welfare, health or a variety of other reasons that are personal to the individual. One important reason why people consider a vegan diet is because it often represents a significant cost saving over the meat-based alternative. Even so, special vegan supplements, nuts and other ingredients can prove costly over time. There are, however, many frugal vegan recipes that provide the full benefit of the vegan diet without the additional costs that are sometimes associated with it. There are many low cost and healthy nutritious vegan treats that can be created at home with a minimum of specialist equipment or expertise. 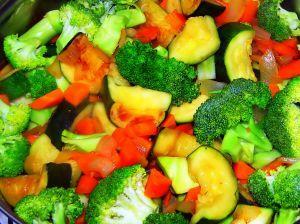 When preparing frugal vegan recipes, it is important to look for low-cost ingredients. Several important vegan ingredients can be prepared at home for a fraction of the price that is charged in stores. Essential vegan ingredients such as seitan and tofu, for instance, can be quite expensive when bought by the pack from a store. These can be made cheaply at home and this can be a great way to save money. Tofu is simple to prepare from soybeans. Buying soy beans in bulk and making tofu is a very cost-effective alternative to buying ready prepared tofu. Seitan is another useful vegan ingredient and can be prepared at home at very low cost. Lentils and other beans and pulses are also good low-cost ingredients for many vegan meals. These are nutritious and versatile, working well in many different dishes. Lentils can be used as an alternative to minced meat for people looking to convert traditional meat based recipes to those suitable for a vegan diet. TVP is another vegan essential and is relatively low cost to buy. As with many dried ingredients, TVP can be bought in bulk as it has a long shelf life. Buying in bulk is a good way to save money and can offer good value. When searching for frugal or low-cost recipes it is important to look for recipes that use ingredients that are readily available. This means looking for recipes that include vegetables that are in season and can be bought locally, as well as other standard ingredients that can be bought from supermarkets or grocery stores. Recipes that call for unusual or hard-to-find ingredients can work out more costly to prepare. Many traditional meat-based recipes can easily be adapted to a vegan diet by substituting vegan ingredients. Traditional recipes can often be a source of ideas for low-cost vegan meals. Prepare meals in bulk - cooking in bulk saves money as it means that not only can ingredients be bought in economical size packs, but it also saves on the energy required to cook a meal. Many vegan meals freeze exceptionally well meaning that meals can be prepared in advance and frozen. Buy from farmers markets or direct from the producer - buying produce from farmers markets or direct from the producer can represent significant cost saving over time. Not only is this a good way to save money but it is also an excellent way of buying fresh good-quality produce that is grown locally. Some farms and local producers offer vegetable box schemes and these are also a good way to have a variety of fresh and well priced ingredients. Split packs with others - sometimes buying in bulk is not a viable option, for instance it might not be feasible for someone living on their own. Therefore a good alternative could be to buy large size packs of vegan ingredients and split these packs with others. This allows someone to take advantage of the economies of buying in bulk without having to worry about using all the ingredients. Frugal and low cost vegan meals make eating a healthy and nutritious diet possible whatever your budget.